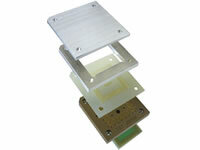 We offer a line of IC Sockets for QFP, SOP, and BGA packages. The socket size is very close to the actual IC size, allowing easy mounting of ICs on target boards to perform debugging. These sockets are also used as connectors to enable easy connection with emulators. IC Sockets for Emulator and QFP. NQPACK can be assembled on the same foot pattern of QFP. Suitable for 32pin (7.0mm x 7.0mm) to 272pin (36.0mm x 36.0mm) QFP ICs. IC Sockets for Emulator and SSOP. 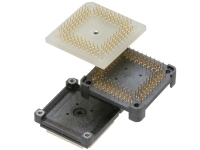 ・BGA can be loaded in BGA Socket Series. Emulator boards or extension cables can be connected to BGA SOCKET Series assembled on target boards. 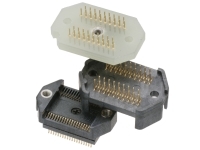 ・BGA Socket Series are surface mount products developed for BGA and LGA.